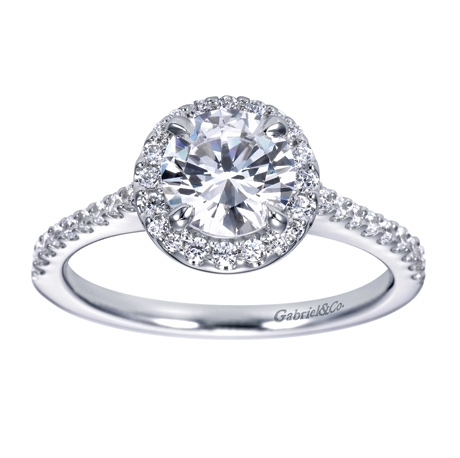 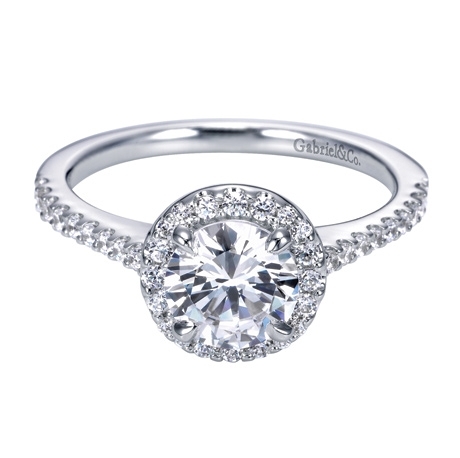 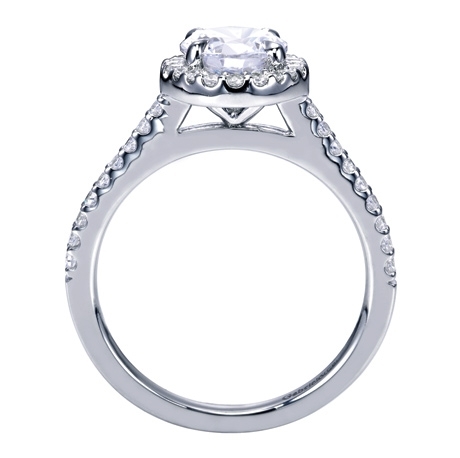 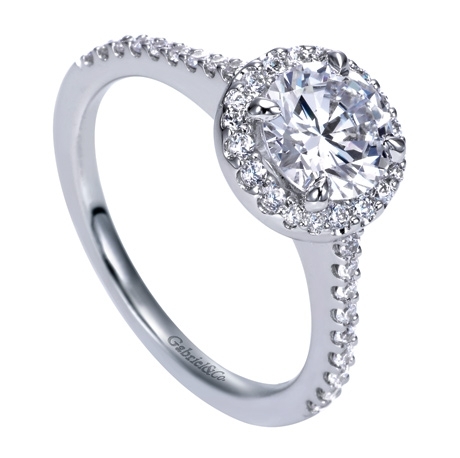 A round halo is a wonderful compliment to a round center diamond. 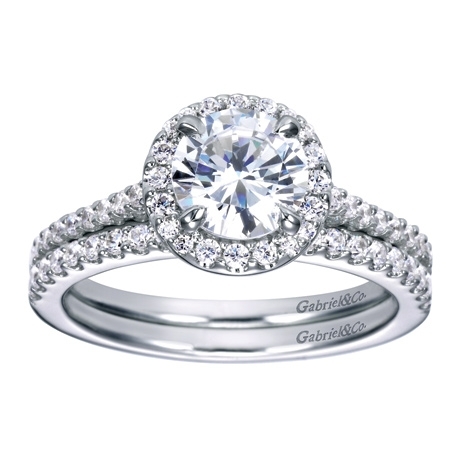 This contemporary halo engagement ring is sure to make her speechless with one third carat in round brilliant diamonds. 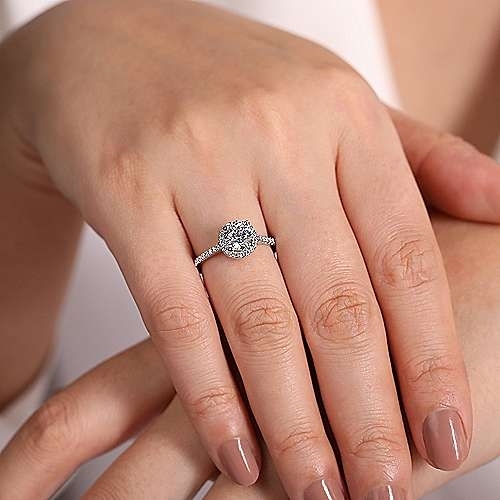 Delicate and unique, this contemporary halo engagement ring echoes her beauty in every round brilliant diamond carefully set into the thin and sleek band of white gold or platinum.